A beautiful reference for the Nuclear Industry ! Leaving our workshop in Villeneuve d’Ascq the last of the 56 chimneys of the exhaust system for the DUS (Diesel Ultimate Rescue) generator. 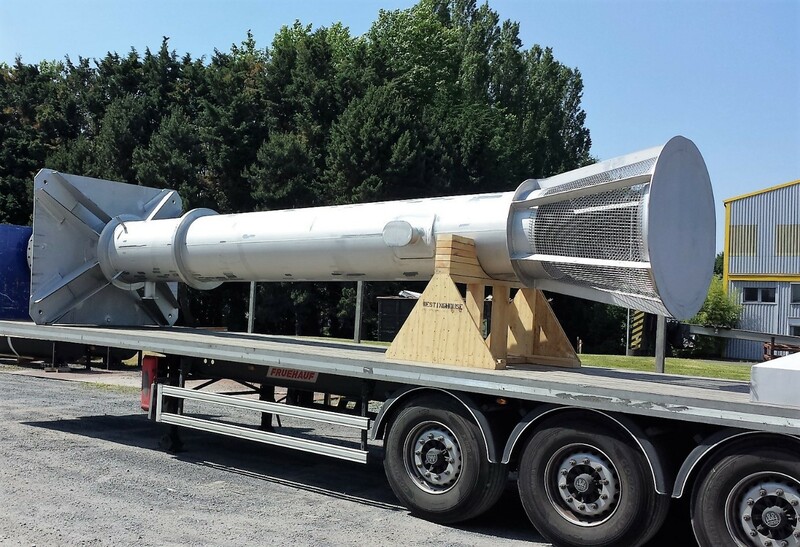 This latest delivery concludes the manufacturing program of the “exhaust system and combustion air system” of the DUS buildings for the 18 French nuclear production sites supplied by BOET StopSon.